Million dollar insurance coverage at an affordable price - plus discount! 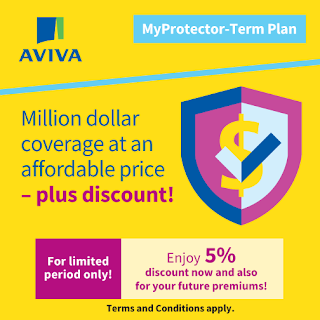 Yes, now you can get it with Aviva's MyProtector - Term Plan, which is having a promotion for a limited period. For a limited period only, enjoy 5% discount now and also for your future insurance premiums on the term insurance plan. Call your financial adviser representative for more details!